Poor Pup Needed Surgery. While She’s Asleep, Vet Shaves Off POUNDS Of Fur. CRAZY Transformation. Never underestimate the power of a mother’s love for her children. In a trying situation, if there’s one thing you can bet on, it’s that mom will do her absolute best to make sure her kids are happy, healthy and, most of all, safe. 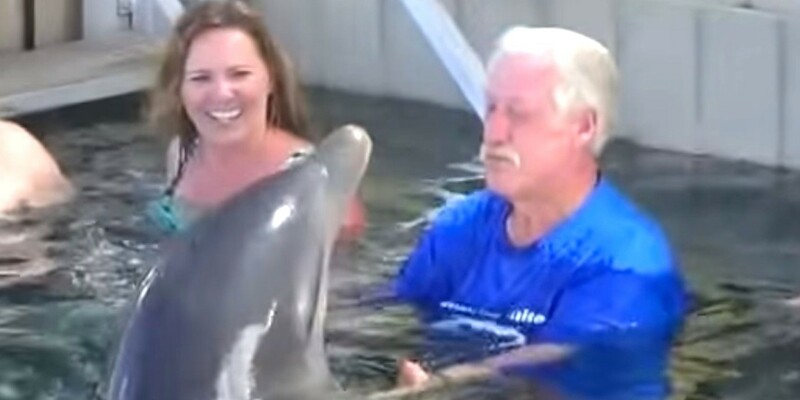 The Dolphin Came Really Close To This Man… What It Does Is Super Adorable! “When the tiger kills, the jackal profits”, this old proverb portrays jackal in a very poor light as a mere scavenger. They are in fact very fascinating animals that will engage you ever more, once you start knowing about their interesting way of life. Long nosed bandicoot, an insect eating marsupial, is the largest member of the genus perameles and belongs to the family of Peramelidae. Restricted to the lands of Australia and Tasmania, these pests prefer open plains, wooded areas, clear grasslands, and drainpipes as their habitats.